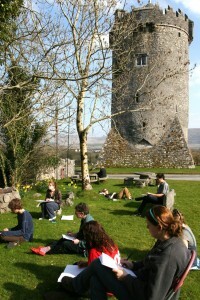 Students working in the shadow of Newtown Castle at the Burren College of Art. A twice-nominated Turner Prize painter, the Dean of Colombia University’s School of Art, a former Danish Minister for Culture and a leading art theorist from the School of the Art Institute of Chicago are among a host of international art experts gathering in Ballyvaughan to take part in a programme of events marking the 20th anniversary of Burren College of Art. Beginning on Thursday and continuing through Sunday, Ireland’s only independent fine art third level college will exhibit works by some of its most successful and high profile alumni and will host a symposium exploring alternative models of education, featuring contributions from groundbreaking Irish and overseas art education innovators. 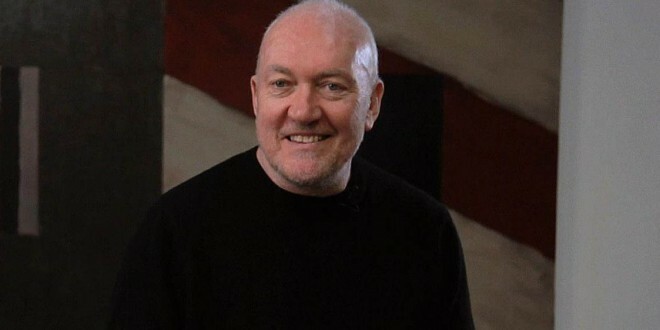 Irish-born American painter and printmaker and twice Turner Prize nominee, Sean Scully will also receive an honorary Doctorate. Located at Newtown Castle, the Burren College of Art specialises in delivering a range of contemporary fine art programmes including photography, sculpture, painting and digital media, and in hosting leadership retreats and “audacious conversations” using creative methodologies. Postgraduate programmes at the College have been accredited by National University of Ireland, Galway since 2002. 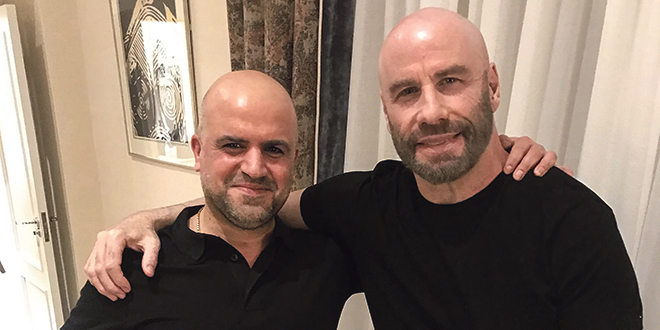 The BCA 20th anniversary celebration gets underway on Thursday when stories of historical and contemporary alternative approaches from the US and Europe will form the basis for the two-day ‘Ex-centric Alternatives’ symposium. The alumni exhibition, entitled “the Middle of Everywhere”, opens on Friday and will feature the work of 40 BCA past students from the US, Mexico, Canada, UK and Ireland. The Sean Scully honorary conferring takes place on Saturday and will be followed by The Best of the Burren – a banquet of Burren food and a recital by Ballyvaughan-born Naomi O’Connell who has become an international opera star, accompanied by Archie Simpson, founder of The Lismorahaun Singers.